I couldn’t live without this brush now. I literally don’t know what I did without it. It applies my liquid and cream foundations beautifully. Perfect when using a circular motion. I use it everyday without fail now and have been for months. By far the best foundation brush I’ve ever used. The bristles are so soft and it doesn’t absorb too much product either. Highly recommended. Love this brush! so light and applies evenly. This is honestly the best foundation brush I’ve ever used. It applies liquid foundation flawlessly, and always looks perfect. The bristles are short and stiff, which makes this an amazing buffing brush. I’ve tried brushes from MAC, Napoleon Perdis, Morphe, Sephora, Urban Decay, and even the Beauty Blender Sponges. This one tops them all. This brush is the only thing I will use to apply my foundation. It gives perfect coverage & doesnt soak up too much foundation. A make up collection ESSENTIAL!! Best foundation brush ever!! Gives such a flawless look and everything just looks smoother than before. Such a soft brush and has kept its shape after being washed multiple times and no shedding. Also really great to blend cream contour. This brush is a must!!! Fantastic brush! It applies foundation so smoothly and makes my makeup look flawless! Absolutely love it! Buying one for my sister and mother for Christmas. A must have for every female. This brush is everything it says. Foundation just glides on beautifully and gives a flawless look. Thank you redefiningbeauty. So very very happy with this product & with Redefining Beauty for getting it to me so quickly! This brush is so amazing for applying foundation. An absolute necessity for every girl’s collection. If you want flawless foundation, GET THIS BRUSH! I just have to echo everyone else’s comments about this brush – it’s unbelievably magnificent! Before this brush came into my collection I have never found a brush to apply liquid foundation with out leaving steaks and poor coverage, constantly resorting to using a sponge or my hands. 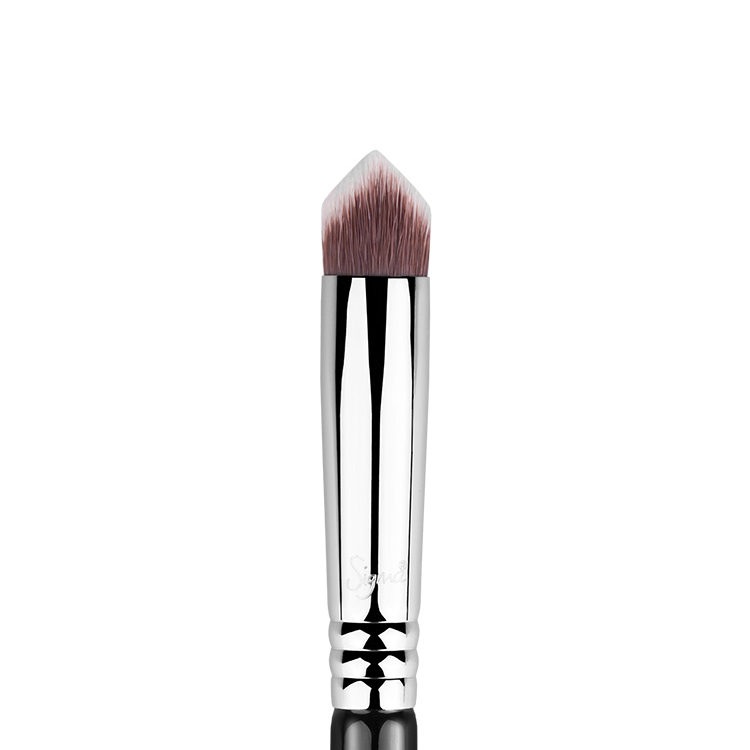 This brush most definitely provides a seamless smooth finish and blends beautifully. So glad that I came across this brush it is my now my number 1 brush. LOVE!! I’ve officially been converted. I discovered these brushes on Jaclyn Hills youtube channel and just wanted to say THANKYOU! These are the cheapest brushes I have ever come across and are the best quality. I use the sigma brushes over my MAC brushes every-time and I paid around $60-$70 for each so I’ve saved heaps. Will definitely be purchasing more sigma brushes soon! Great product! 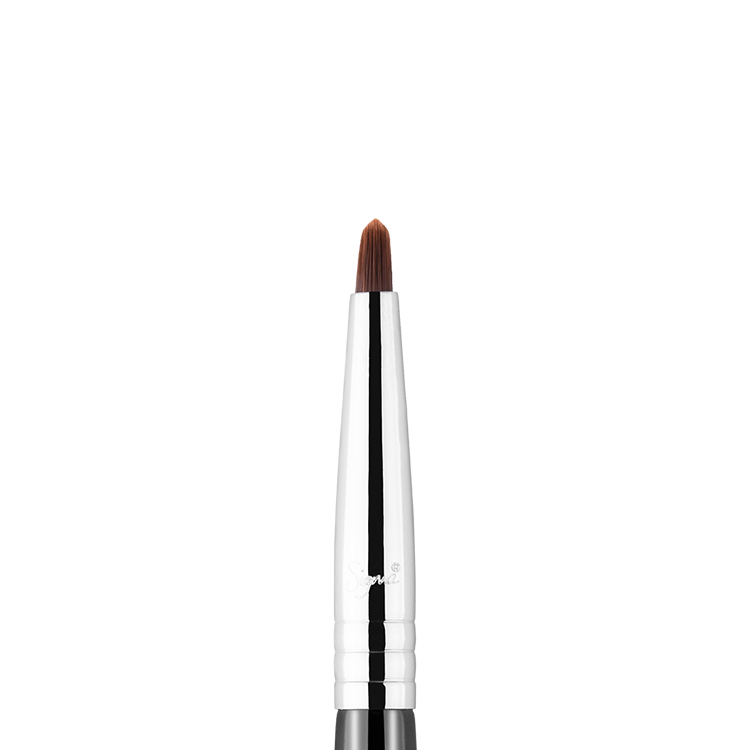 It blends liquid foundation perfectly without harsh strokes. 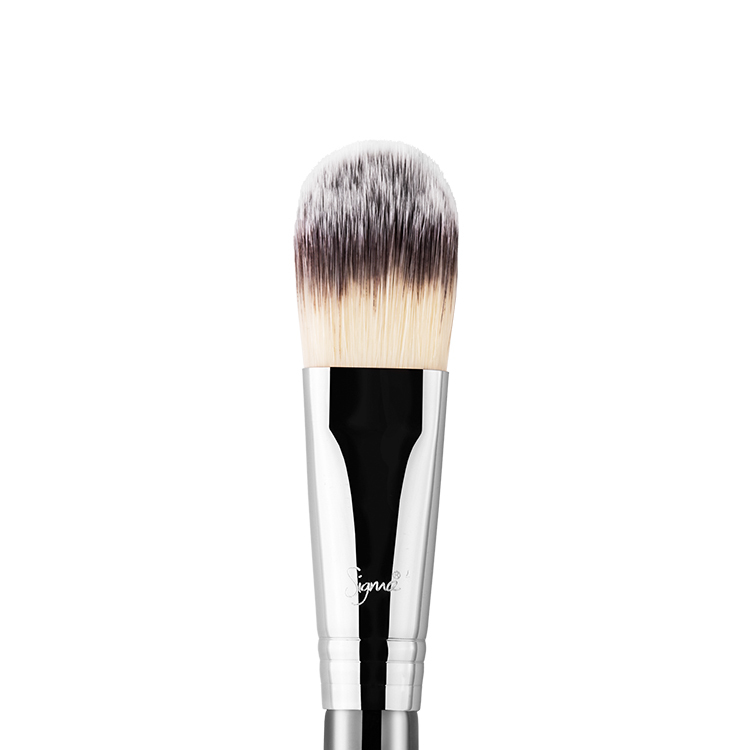 I use this brush with circular motion and it spreads foundation evenly and gives a flawless finish! This is also the only brush I am happy to apply BB/CC cream with. With thicker CC cream’s consistency, it was still able to blend it beautifully. This is my everyday foundation brush! One more thing worth mentioning. I was very impressed with the fast delivery especially I couldn’t wait to try out the brushed I ordered! I love this brush, it’s the best brush for applying my liquid foundation, I have used other foundation brushes but this one just covers so much area, gets the job done quickly and leaves a flawless finish, I am absolutely obsessed with this brush, and I use it every day without fail! Love this brush! 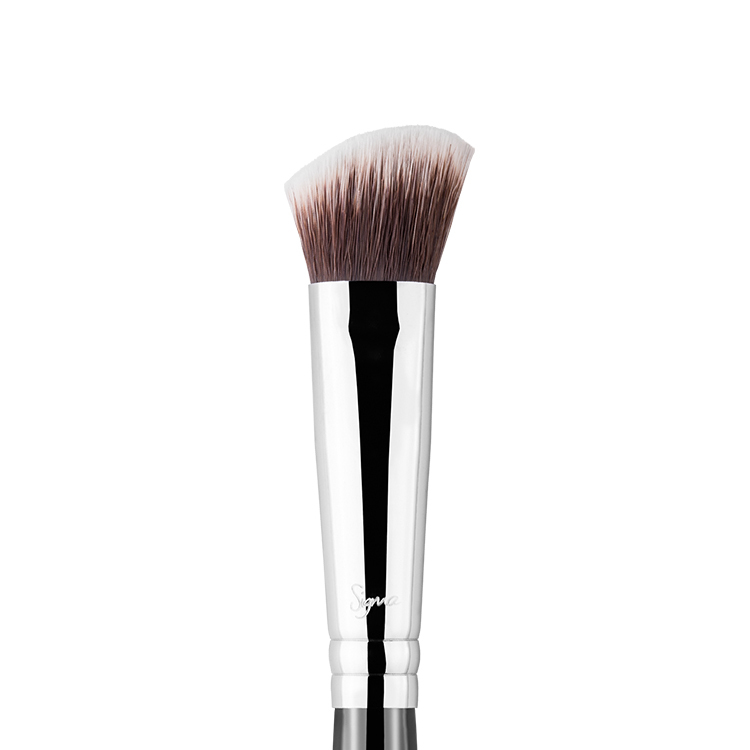 The F80 is now my all time favourite brush and applies foundation amazingly! No other foundation brush compares to it! I ordered this and a few others brushes (how could I not!) from redefining beauty, and was so happy with the extremely fast shipping. They were packaged really nicely and it is so great to know you are getting authentic Sigma brushes for such a great price! This brush is the best brush for foundation. It makes your face flawless and applies like no other. Hands down the worlds best brush for your base!! Also customer service is impeccable, why order from anywhere else!! Beauty Guru on Youtube Jaclyn Hill swears by this brush so I got it off her recommendations.. how on earth did my makeup ever look great before without this brush?? HOLYGRAIL FOUNDATION BRUSH!! By far the most superior foundation brush by Sigma. It blends so well and gives such a good finish! I love love love this brush!!!! It blends my foundation in beautifully !!! After I had seen so many comments on YouTube. I decided to buy a whole lot of sigma brushes and I absolutely love them all. But this brush is fab for foundation!!!! Would recommend it over and over again ! Nothing beats it! Bought this brush after watching some makeup tutorials where they had used it and I am so glad I did. This is a absolutely amazing brush to apply my liquid foundation with and ensures a flawless look. The brush is very dense and of great quality a must for your makeup kit. 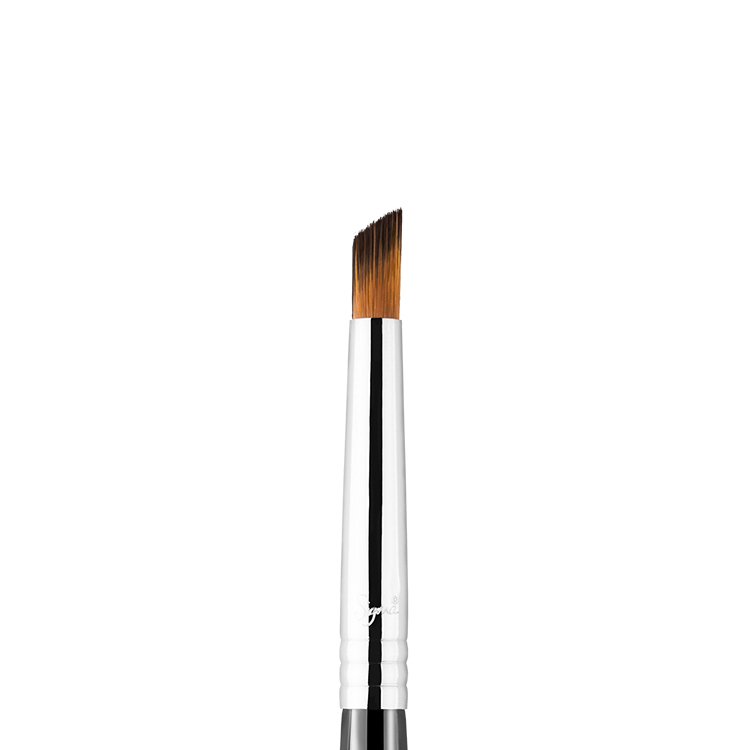 The F80 is a staple in anyone’s brush set ! The brush itself is densely packed with very fine, soft bristles. It leaves a very airbrushed look to the skin after foundation application, that sort after “soft focus”, it is beyond amazing ! It is also an amazing as it does not soak up product, I’ve tried brushes of similar design that leave you with more product in the brush than on your face ! And when it comes to cleaning your brushes, there is no build up of un-removable product – they’re just like brand new again ! Again, this is a must have ! 100% recommendation to anyone looking for that perfect brush ! 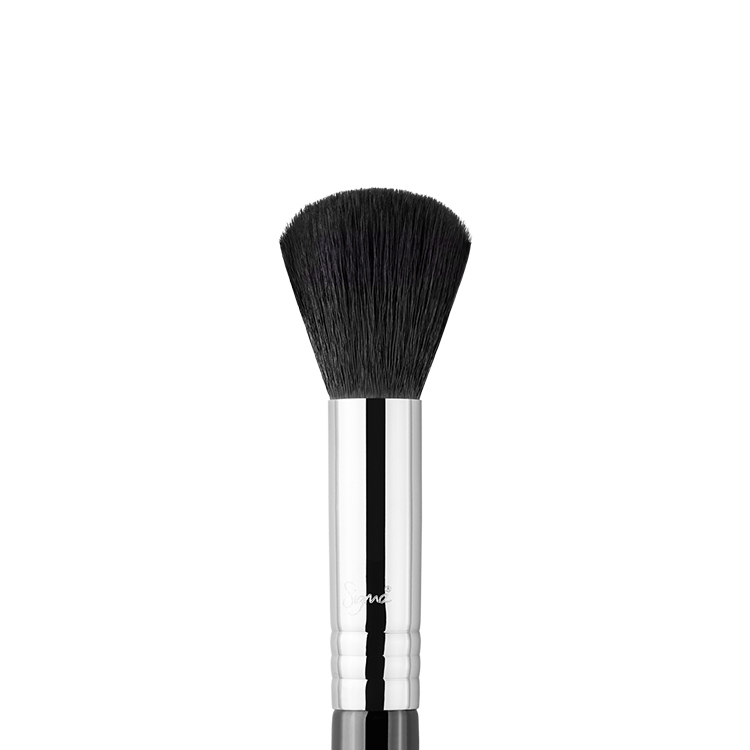 This brush is AMAZING, forget brush marks in your foundation, it just buffs on product so beautifully. You can also build product really well with this brush and because of its size it’s cut down time in my foundation routine. This brush is amazing and buffs on the product so well. It is a raved about beauty blogger gem for a reason! A must buy for sure. Love love love this brush, have been holding out on buying it as I own 8 different foundation brushes. This by far takes the cake as the best one I own. Have had it a few weeks now and have not reached for anything else. Just bought another F80 Flat Kabuki to add to my enormous brush collection! 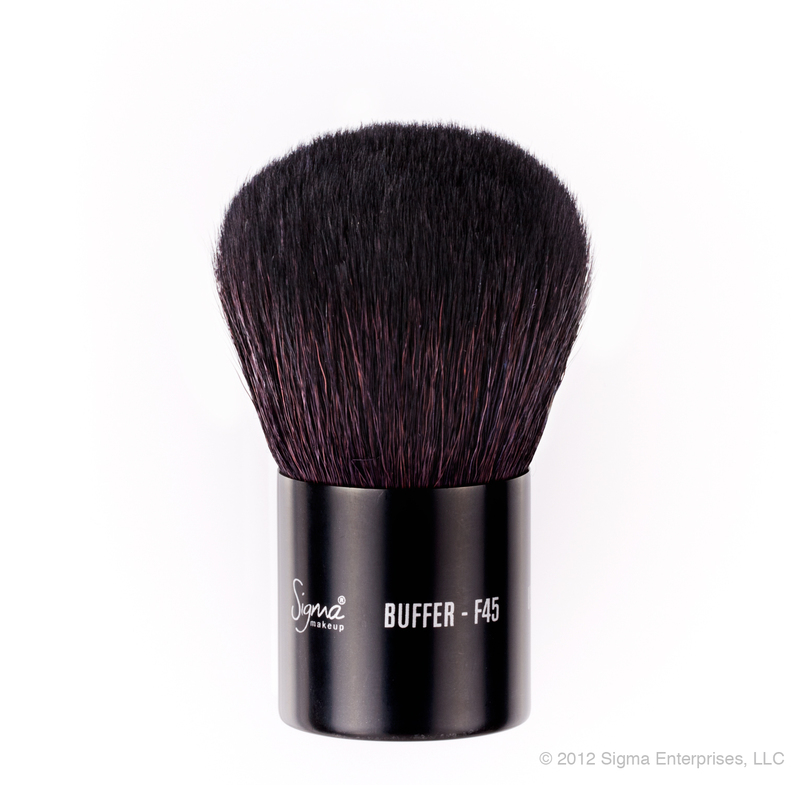 The Sigmax bristles are super soft and because it is a synthetic brush, it doesn’t soak up and waste your product. This is the first foundation brush that I have owned that doesn’t leave streaks and gives you a completely flawless finish! I am absolutely in love with this brush and I highly recommend it to other professionals and clients. This is brush beats all, it’s unbelievable how soft it is and the way it applies my foundation on so smooth!! It’s the best wow! I love this brush. It’s soft and dense, great for liquid and powder foundation. It just spreads the product like a dream, I’ve had one for a year and have washed it multiple times and it still looks brand new. Best foundation brush I have used. Got lots of compliments on my make up after using this. Goes on smooth, with no streaks and helps give a really good coverage! 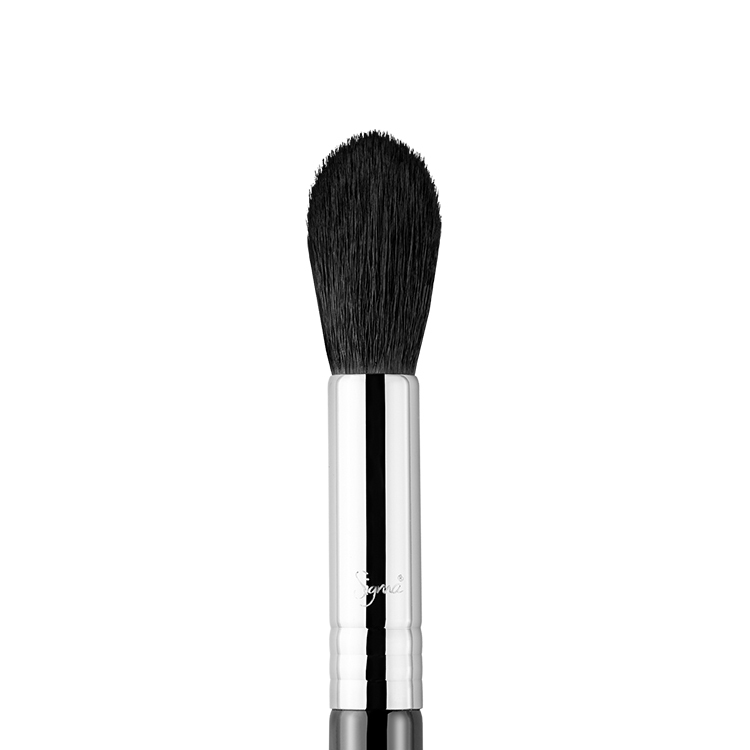 This brush is the an amazing foundation brush. It blends perfectly, doesn’t shed, easy to wash and makes applying your makeup so much easier. This brush is actually amazing, I will never use another brush again!! It applies the make up really well! Finishing you with a natural look. I just love the sigmax collection! The flat top kabuki is literally one of a kind aahh i just love the way it creates an airbrush effect when I use it with my foundation! So genius! This is my second one though unfortunately as my naughty puppy thought it would be fun to chew it up! I love it so much though that i just HAD TO buy it again – A must buy!! My Holy Grail Foundation Brush! 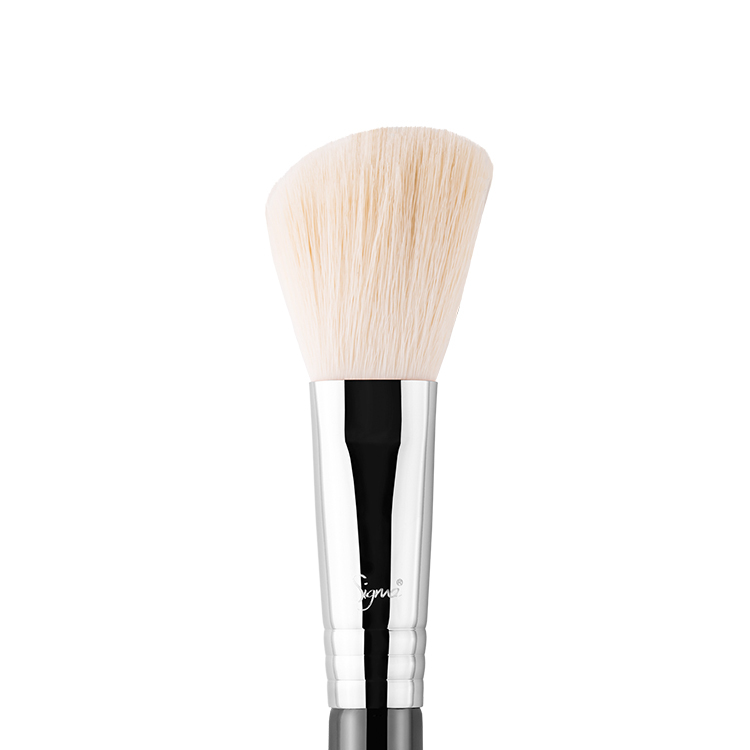 This brush is so dense and soft, it can buff any liquid or cream makeup on to the skin for a flawless, seamless and airbrushed finish. It does not shed after wash because it is made out high-quality bristles. 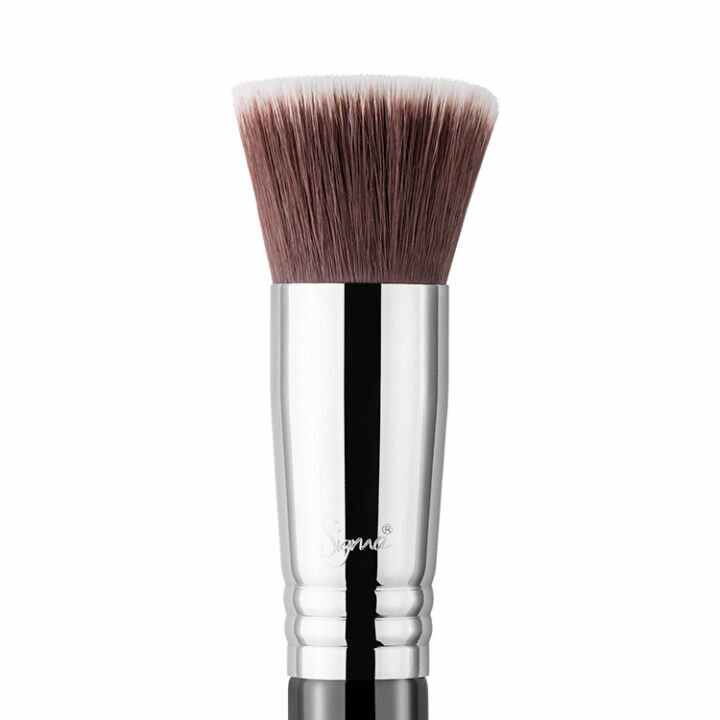 This is a number one must-have brush in every make-up kit!! This is such an exceptional brush ! Perfect for any form of foundation, and a mush-have for anyone interest in makeup and beauty, And perfect for a everyday application, for a flawless finish. Shipping is so fast, i was quiet surprised..
Would definitely recommend this brush, and this site to everybody. I purchased the flat top kabuki brush after watching countless youtube tutorials with this has the starring brush! I must say, I don’t think i will ever go back to using my fingers or any other brush! It gives a flawless application and is the perfect size so it doesn’t take forever to move around your face. It feels gorgeous on your face with super soft bristles. 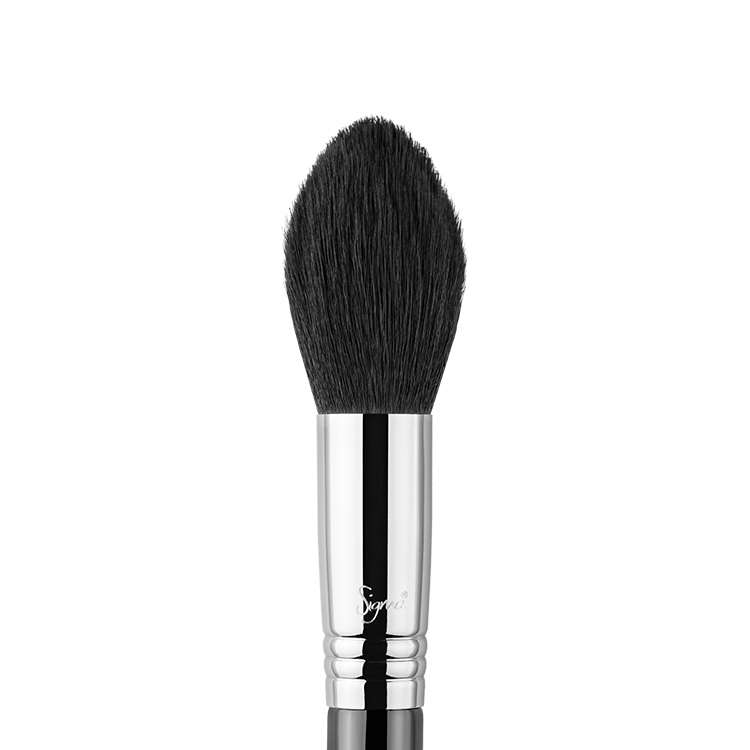 I have also purchased the angled round kabuki brush and love love love it too! particularly for cream blush! Oh, and another plus? shopping was so quick and super easy to shop on your site! thank you for bringing such a great brand to Australia! I was convinced to buy this brush after watching several Jaclyn Hill makeup videos on Youtube. It applies foundation magically! I use it for my loose mineral powder by Nars and I love the way it picks up the product. I find that i am not loosing lots of product when I use this brush. Even though it says that its for liquid foundation, it works well with any sort of foundation. Its definatly an essential brush! Heaven!! I don’t know how I ever did my make up without this brush, its perfectly dense enough to move and buff my foundation and primer into my skin making it look flawless ever time… or stipple tinted moisteriser for an easy look! Purchasing one for my sister this Christmas! I love using this for liquid foundation. I alternate between this and F84 for my foundation. Buffs in liquids really well. I use this dampened as I don’t like the look of heavy foundation. LOVE LOVE LOVE this brush! I will never use any other foundation brush, and or anything makeup rush brand! MUST HAVE BRUSH IN EVERY MAKEUP KIT! amazing quality! applies makeup so flawless and precise! best investment ever! Will definitely repurchase more brushes from sigma! The only complaint I is that the brushes are so dense that it does tend to soak up a lot of product & that it takes forever to dry for the same reason. But the density is also why it does such an amazing job. This brush is my holy grail!!!!! It leaves my make up flawless and with an air brushed look. Before that i was using a duo fibre brush which i didnt really enjoy because it left brush strokes on my face and after that i used a beauty blender which was ok but after buying this brush, LOVE!!!! Sigma is amazing, affordable and always keeps me coming back!!! I’ve always heard so many good things about this kabuki brush and was so hesitant to buy it because of the price. But I have got to say it was one of the greatest investments ever!! This is my holy grail foundation brush, from the moment I bought it up until now, I have never used another brush for my foundation. Had it for approximately 3/4 of a year and no shedding whatsoever!! BEST buy! After hearing a lot of great things about the F80 I decided to purchase it. I am so glad I did, it is my most used brush! It is incredibly soft and blends foundations and concealers like a dream! Highly recommend! The F80 is an incredible brush! It gives a smooth, flawless finish. It blends cream, moose and liquid foundation perfectly and is even brilliant at applying powder foundation. It’s incredibly soft and densely packed. Foundation application with this brush is a breeze as everything blends in seamlessly. I could not live without this brush – it’s an absolute must have. I’ve had no problem with washing or shedding and I’ve been using this since June. 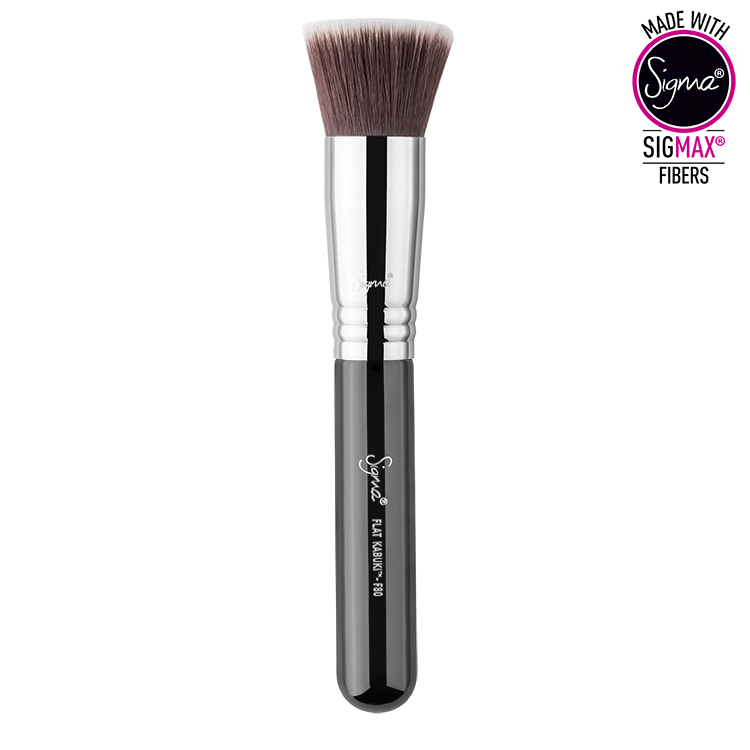 I have purchased so many Sigma brushes over the last couple of years and several of their makeup pallets, they are a fantastic product and the prices are fantastic, I am so happy that we finally have an Australian supplier, my favourite of all their brushes would have to be the F80, it is the best brush for applying liquid foundation across any brand. Do yourself a favour and try these brushes you won’t be disappointed. This site offers great a great service and fast shipping. Love love love this brush. I’m a newby to makeup but after reading the reviews and watching youtube videos, I eventually booked a makeup lesson and the lady who did my makeup was also the same lady who did my bridal makeup. Her advice was to use it for powder rather than use it for foundation and I have to say she was right. Does an excellent job picking up product. I love using this brush to apply moisturizer and primer to my clients; it buffs the product in really well so you don’t have to wait long for it to be absorbed. It’s a very soft and extremely dense brush, great price and great quality! I stumbled upon this site by accident and am so glad I found it. Fantastic customer service, and the postage is very inexpensive. Goods were received very quickly and well packaged so there was no damage. The brushes are excellent quality and I will definately be buying more. Thanks for supplying such a great service. This product is beautiful! It was received it within a day and the service offered by this site is second to none! I am extremely pleased and will be recommending this site to all of my friends! I’ll definitely be doing more business through site again!